Please visit this page on your desktop or laptop to complete the form to post a job. "Thanks for listing the job. We hired a person who saw it on your site." 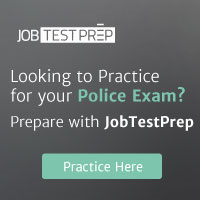 This form is for those departments that are currently hiring sworn officers. We do not list communication or administrative positions. This form is not to be used for those individuals seeking a job. email us the changes or fill out form below with the new information. This information will not be displayed in your listing. Type the security number in the box and then click the "submit" button to send us your job announcement. You will receive an email when your listing is online.